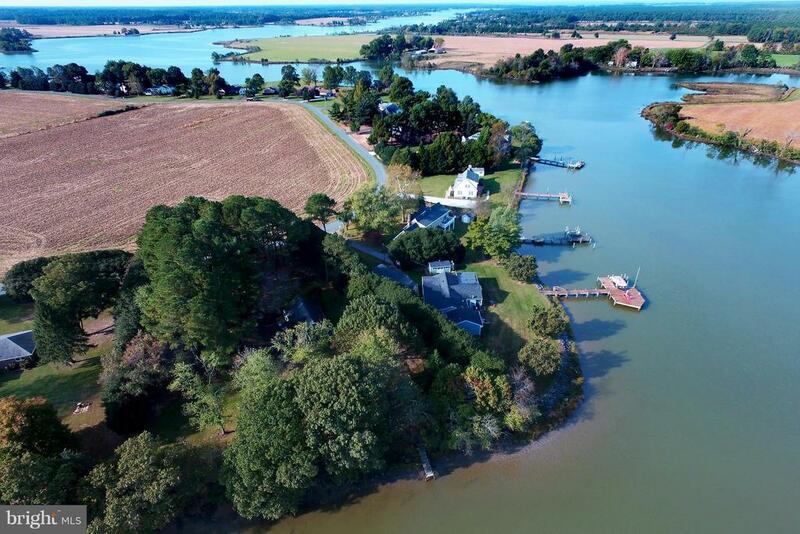 This is a charming cedar-sided waterfront cottage on 1.3 acres surrounded by pine trees and with a glorious view of Fishing Creek. Additionally, there is a 200+ acre farm across the Creek with an Andrew Wyeth-ish barn in clear sight. There is a wonderful farm located just across the street from the driveway entrance yet this property is located just 8 minutes from the doors of the Hyatt!